East London is home to a thriving population of more than 260,000 people. Located in the Eastern Cape Province, it is no stranger when it comes to beautiful scenery and great tourist places to see an adventure to discover. Back in the early 19th century, the region served as a supply station during a time of frontier wars. Today East London has undergone many developments with housing and recreation and it comes as no surprise that the skilled expertise of Landscape architects in East London is required. Landscape architects play an integral role when it comes to developing landscapes and exterior spaces. 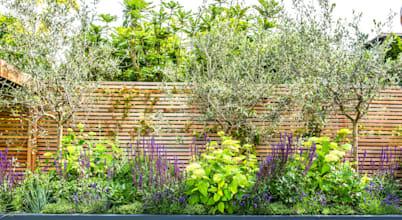 They are especially skilled at designing the natural environment of the outdoors of most developments albeit commercial or residential, park spaces or private gardens. While many of them spend time in the outdoors, working closely with other professionals on the construction and development of a specific place, they also spend time in an office. During in-office time, they'll be able to create their 3D CAD designs and models and it's also during office times that they can sit down and meet with their clients. One thing about landscape architects is that they work closely with their clients in order to get the best outcome for the project. One of the primary goals that most landscape architects in East London and throughout the industry aim to achieve is the enhancing of natural elements. By using nature, they can create a seamlessly beautiful space that blossoms with beauty. Advanced technology is often used in this career because landscape architects must resort to innovative solutions to ensure a better natural environment. Some of the technologies used include solar power, the ability to absorb pollutants, buildings that can manage natural temperature control, and the use of innovative irrigation systems among others. An example of a landscape architect's work includes the Coral Beach Lifestyle Estate in East London. This development has so many great attributes that include beautiful landscapes as well as seaside views. Landscape architects worked alongside housing developers to create this beautiful estate. Generally speaking, landscape architects have to study further in order to qualify for this career path. After a Bachelor's degree and further studying and training are complete, the person will be granted a qualification recognized by the South African Council for The Landscape Architectural Profession (SACLAP). Professionals can also further their studies and obtain an Honours or Masters degree in landscape designing and architecture. There are a number of career opportunities for these professionals because of the increase of development throughout East London and other regions of South Africa. Why so many opportunities exist is not only for the need of aesthetically beautiful destinations but also environmentally friendly. In other words, we strive to create places that are pleasing to look at interact with, but also as part of building on sustainability, places ought to be self-sustaining and efficient. What are the benefits of working with a landscape architect? Landscape architects offer many benefits that will improve your project and ROI. Because they are skilled in dealing with various terrains, they can secure a place prone to landslides and other terrain technicalities. While it may initially be expensive to hire a landscape architect, the ROI is worthwhile and because they already secure certain factors such as correct materials and safety precautions, you may not need to spend more money on people having to repair issues as a result. Landscape architects are especially skilled at creating a beautiful environment using natural elements. If you want to improve your home garden, you can be certain that they can help you do so thanks to their eye for detail and creativity. It's easy to simply purchase material at your nearest gardening and homeware supplies store, but the truth is that finding the most suitable and effective takes talent and skills. Professional landscape designers know which items will work in hot weather and which won't, or what item materials are best suited to cold conditions and what are not. So using a professional can really help you get the best and the most out of your investment.